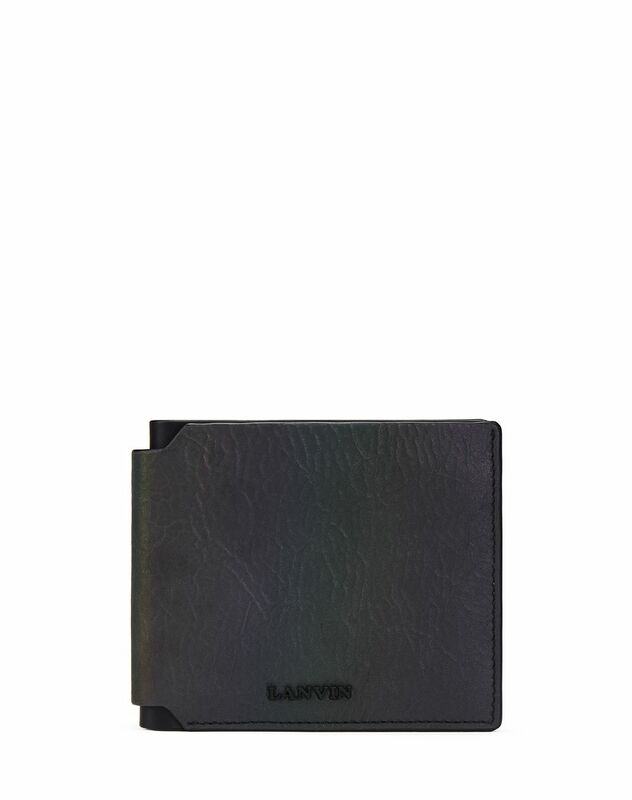 Flat wallet in multicolored calfskin leather with crackled plastic effect, six card slots, one coin pocket, and matte black metal Lanvin signature on the front. 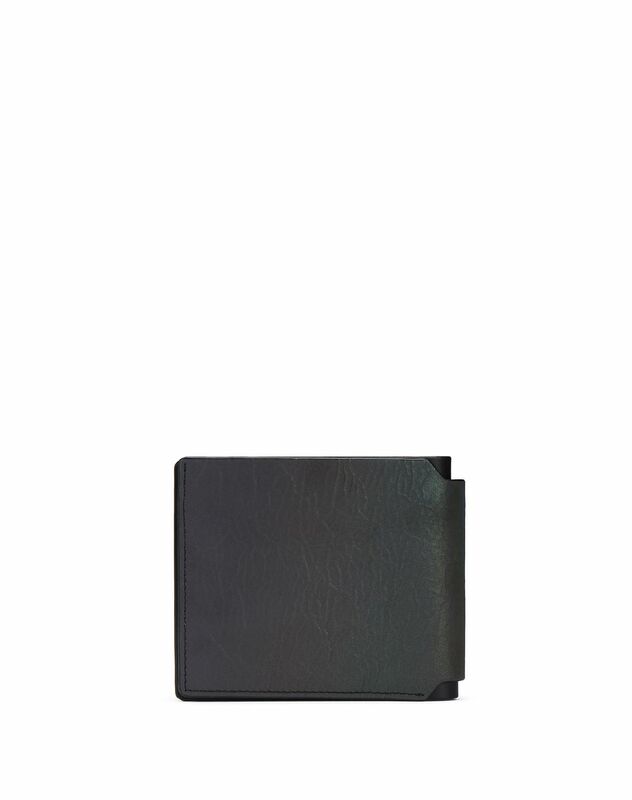 This everyday essential stands out for the plastic effect of its multicolored calfskin leather. 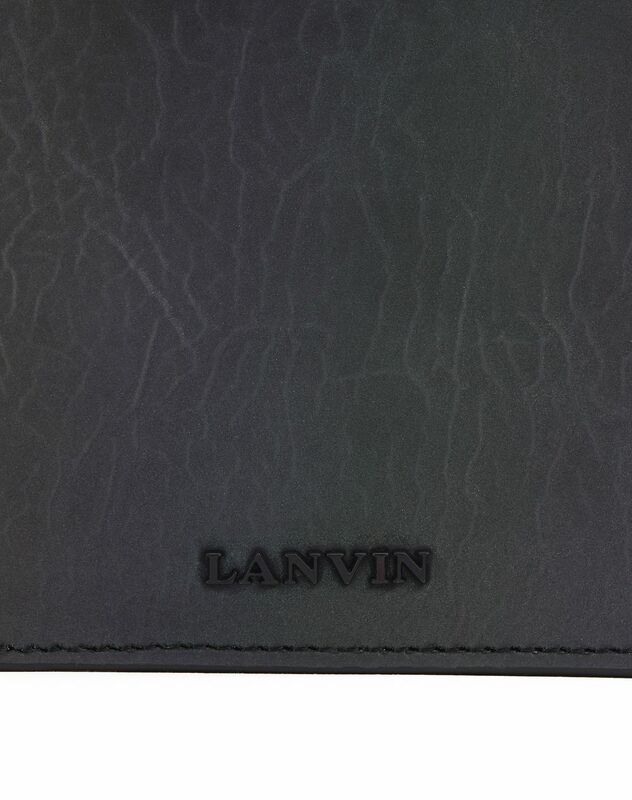 The discreet matte black metal Lanvin logo leaves the brand’s mark on this timeless classic. 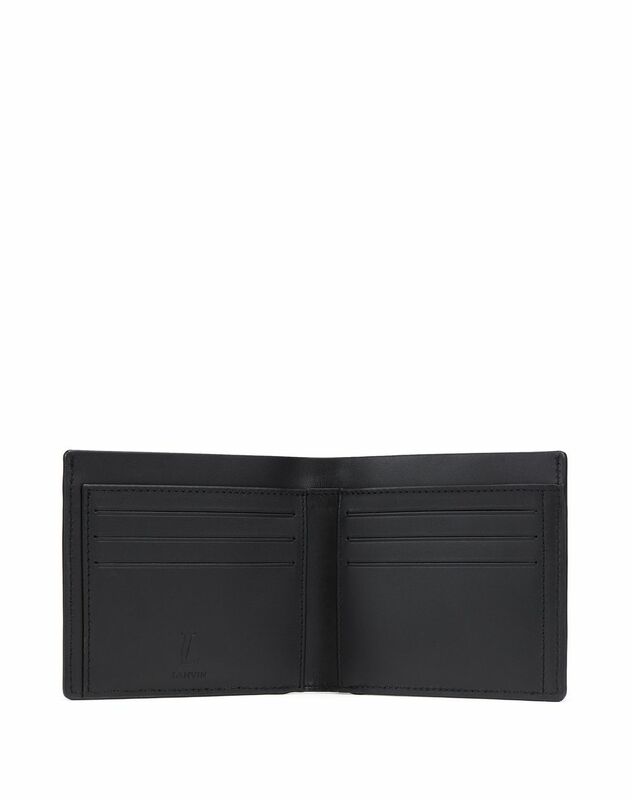 This minimalistic, elegant wallet combines luxury details with functionality. Main material: 100% calfskin leather. Secondary material: 100% calfskin leather. Additional materials: 45% abaca weave, 45% viscose, 10% polyurethane. Lining: 100% polyester. Made in Spain.